Qatar’s tourism and hospitality industry is building momentum as it enters the second half of the decade, with an ambitious target of four million visitors by 2020, supported by US$40-45 billion worth of sector investment under the country’s National Tourism Sector Strategy 2030 plan. The Gulf state returns to ATM this year to showcase its expanding hotel and tourism infrastructure pipeline following a successful 2015 with visitor numbers in the first nine months of 2014 growing to reach 2.2 million in Q3, representing a year-on-year increase of 7.7%, and booming air connectivity which saw Hamad International Airport exceed forecasted capacity of 30 million passengers last year. According to a Q3 2015 HVS report entitled In Focus: Doha, Tracking Progress, travel and tourism contributed US$4.2 billion – or 2% - to the GDP in 2014, with a figure of US$4.6 billion forecast for 2015 (a rise of 7.3%). “Looking further ahead, this is expected to grow annually by 4.7%, to reach US$7.2 billion in 2025 as Qatar works towards its strategic goal of positioning itself as a ‘world-class hub with deep cultural roots’, by creating a high profile product that will appeal to all market segments from cultural tourists and families to sports fans and business travellers,” said Nadege Noblet-Segers, Exhibition Manager, Arabian Travel Market. Other third party officially released data revealed that, in Q3 2015, GCC residents accounted for 45.2% of total visitor numbers followed by visitors from Asia and Europe at 25.3% and 13.9% respectively. The HVS report notes the addition of 11 new hotel properties with a total of 1,400 rooms to the market in 2015; as part of its commitment to reach 50,000 additional rooms by the 2022, when it will host the FIFA World Cup. Kempinski Marsa Malaz Hotel, Banana Island Resort by Anantara and Melia Doha Hotel were a few of the brands to enter the market last year with Qatar Tourism Authority reporting an estimated 10,000 rooms currently under construction and expected to enter the market by 2018/9. Official statistics tally current hotel room capacity at 17,900 keys, 84% of which is four and five-star accommodation. “This is responding not only to the needs of the more budget-conscious traveller, but those for whom quality and experience-led travel doesn't necessarily have to mean a five-star price tag,” she added. According to the Reed Travel Exhibitions commissioned Q3 2015 YouGov Travel Oracle insight report, one-third (36%) of surveyed leisure travellers from the region now choose budget hotels when travelling for pleasure, with Asian expats the most likely to opt for low cost accommodation (52%) and 35% of all respondents stating that reasonable cost is one of the most important elements when considering a leisure destination. Overall, 41% of travellers interviewed had a per person trip budget of US$1,000 or less, thus putting cost high on the priority list. The YouGov report also looked at business travel, with 15% of total respondents reporting a decrease in corporate travel budget over the last 12 months, which is accordingly highlighting an opportunity for mid-level brands to target the newly budget-conscious corporate traveller. The visibility of special deals/promotions when selecting a hotel for business travel was also raised in the research, with 18% of those surveyed naming special offers as the top decision influencer followed by the influence of the company travel organiser (15%). 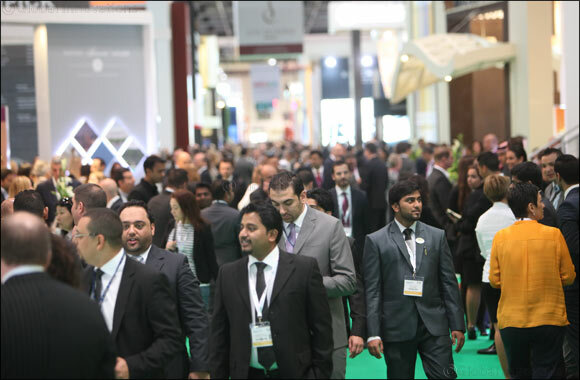 The list of Qatari exhibitors at ATM 2016 include Katara Hospitality, Qatar Airways, Al Rayyan Hospitality, Qatar Tourism Authority and the Labbaik Group.